Welcome to Camei Precision Engineering Sdn Bhd. From modest beginnings in 1992, Camei Precision Engineering Sdn Bhd is today, a reputable name in the engineering and automation industry of Malaysia. Camei Precision Engineering Sdn Bhd is focused on contributing to the national vision and supporting Malaysia’s aspiration to stand tall as an industrial nation. Our commitment is powered by our vision and reflected in our “hallmarks of quality”. Differentiation lies in our dedicated expertise and “totality concept” in customer management operations. Welcome to Camei Precision Engineering Sdn Bhd. 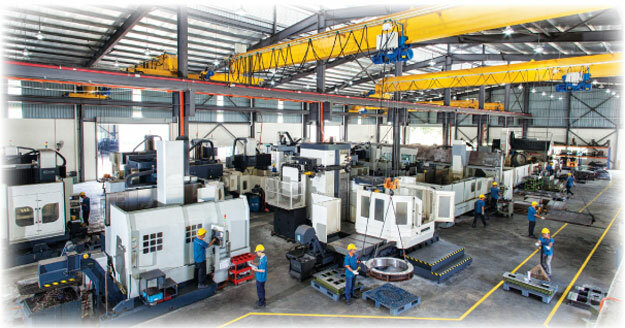 From modest beginnings in 1992, Camei Precision Engineering Sdn Bhd is today, a reputable name in the engineering and automation industry of Malaysia specialised in Design & Fabrication of Precision Components and Machine Parts, Tools & Dies, Jigs & Fixtures, and Factory Automation Systems . Our commitment is powered by our vision and reflected in our achieving ISO 9001:2000 and TÜV Certification . Our cutting edge is our dedicated expertise, state-of-the-art machinery and “totality concept” in customer management operations, providing solutions from the beginning to the final delivery.